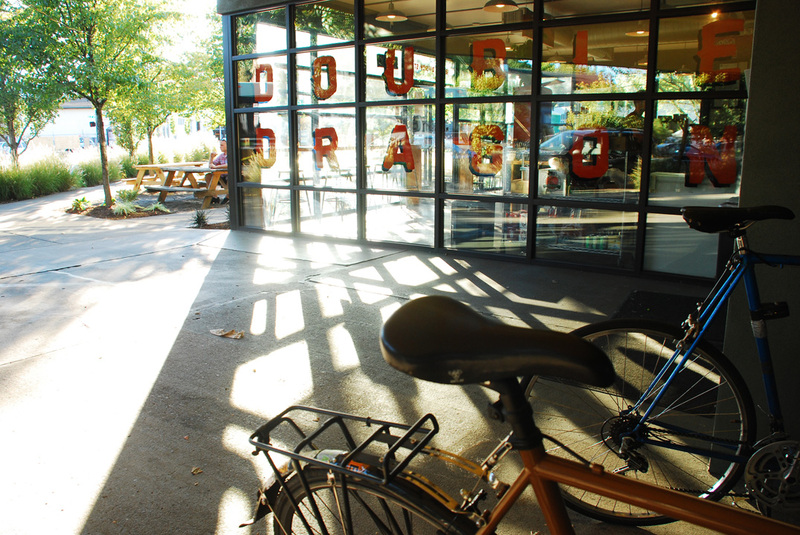 This Adventure starts at Double Dragon on SE Division Street in southeast Portland, the restaurant to pick up your first banh mi of the day. Double Dragon’s fare is a modern interpretation of the classic banh mi sandwich; the restaurant, opened in 2009, notes on their webpage that Double Dragon’s sandwiches are larger than traditional banh mi and “reflect influences from French, Middle-Eastern, and Mexican cuisines.” Pack a sandwich in your pannier and head northeast through Ladd’s Addition, one of Portland’s first neighborhoods on the East Side which was recognized as a historic district by the National Register of Historic Places. Be sure to stop and smell the roses as you bike through Ladd’s Addition – literally! All four of Ladd’s diamond-shaped parks and the central traffic circle have a variety of roses that typically bloom in early June. From Ladd’s Addition’s central traffic circle, head east on SE Harrison Street, which eventually merges into SE Lincoln. 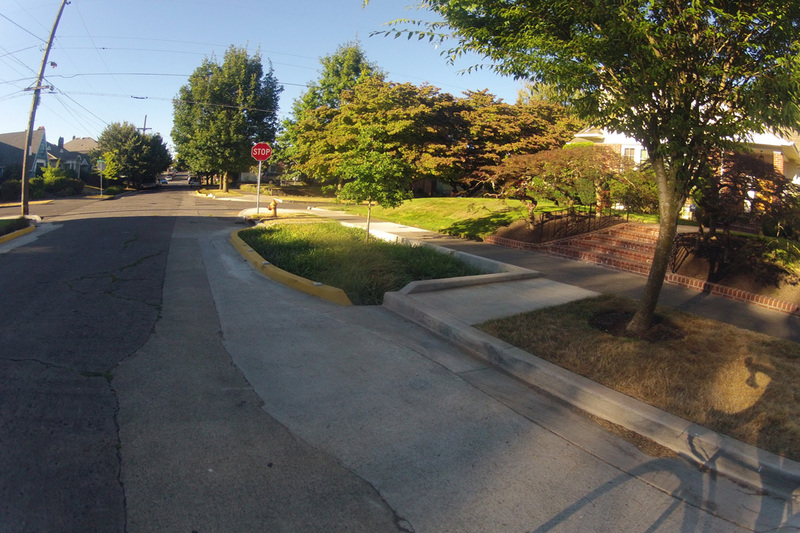 This corridor, one of the City of Portland’s Neighborhood Greenways, was retrofitted as part of the Tabor to the River project, which redesigned neighborhood streets to be more accommodating for people walking and riding bicycles while also improving stormwater drainage and planting numerous local species of trees. This project represents the sort of integration of natural processes and ecosystem services into our communities, and makes for a pleasant ride through the heart of southeast Portland. 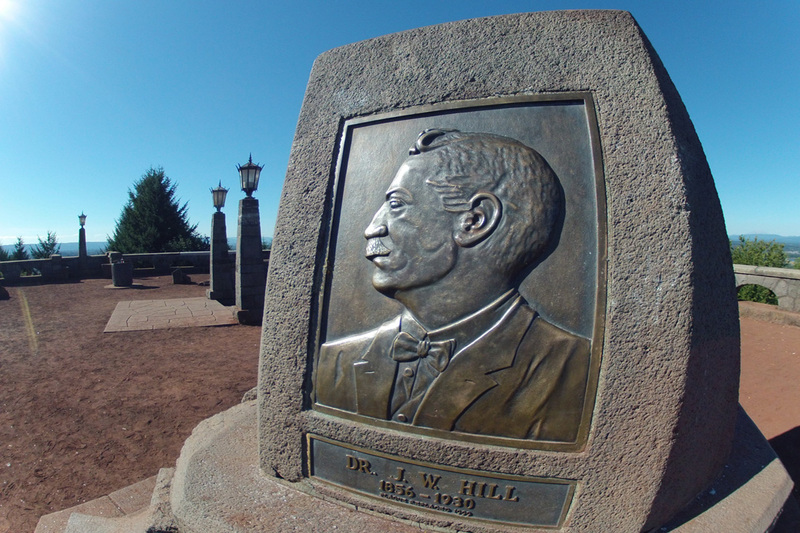 Head East on SE Lincoln until you cross SE 60th Avenue and enter Mt Tabor, the first Butte to climb on this Intertwine Adventure. 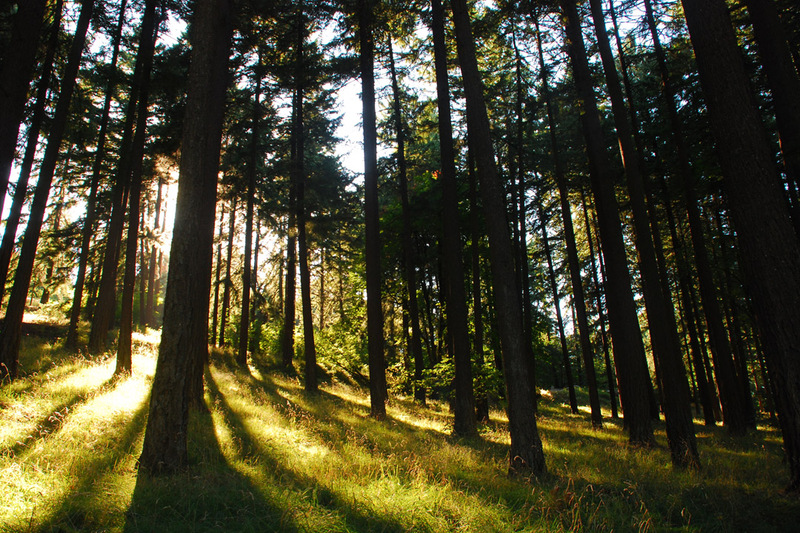 Mt Tabor has been a protected park for Portland since 1894, when the city built two water reservoirs on the foothills, and is one of four volcanic cinder cones within Portland’s city limits. 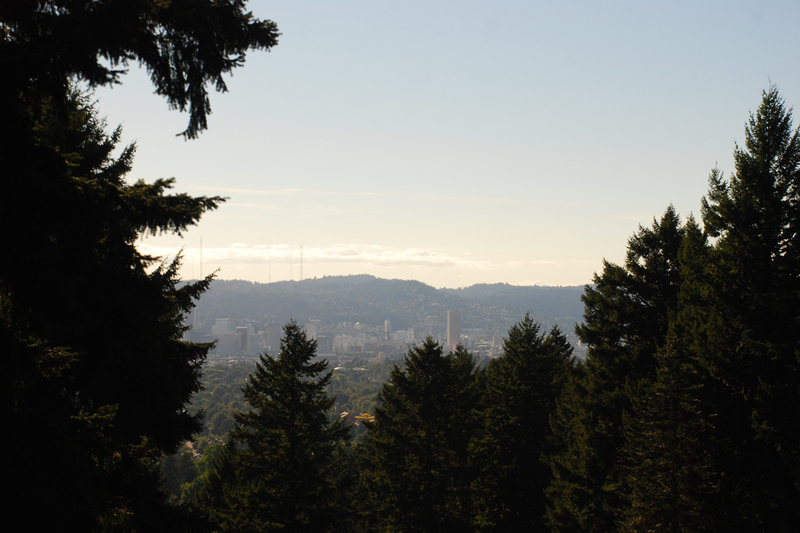 Grab a picnic table at the park and enjoy that banh mi sandwich while taking in the view of downtown Portland from the top of the mountain. 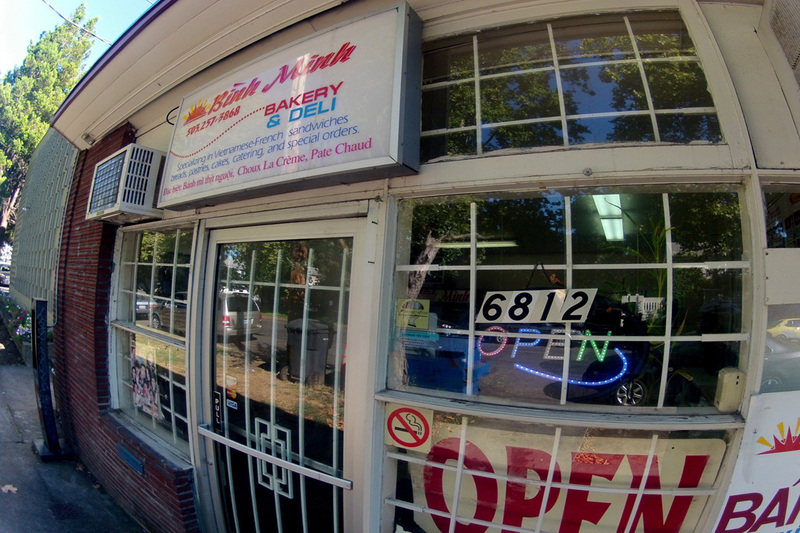 For the second leg of this Intertwine Adventure, head back down Mt Tabor on the west side of the hill, turning north on SE 54th Ave and following the signs across Interstate 84 to Broadway where you will find Binh Minh Bakery and Deli Sandwiches on NE Broadway Street, a half mile to the east. These banh mi sandwiches are smaller than Double Dragon’s, but are also delicious, more authentic and are all priced at under $3. Pack a few for your picnic at the viewpoint for the top of the next hill. 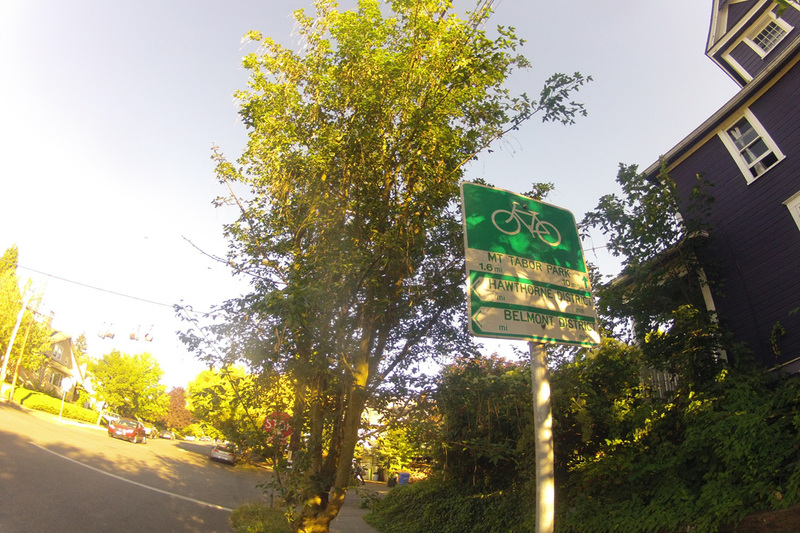 From Binh Minh, head north and make a right on NE Tillamook Ave, another of the Portland’s renown neighborhood greenways, and head north on NE 92nd Ave until you see the signs for Rocky Butte Natural Area. After the 1.4 mile climb to the summit, enjoy the view of Mt. St. Helens, the Columbia River Gorge, and downtown Portland from Joseph Wood Hill Park. Should you be looking for a possible order of Buffalo Wings instead of Banh Mi, this Intertwine Adventure can be extended for a quick venture back down the hill and west on NE Fremont Ave for 2.9 miles to Fire on the Mountain on NE 57th Avenue. 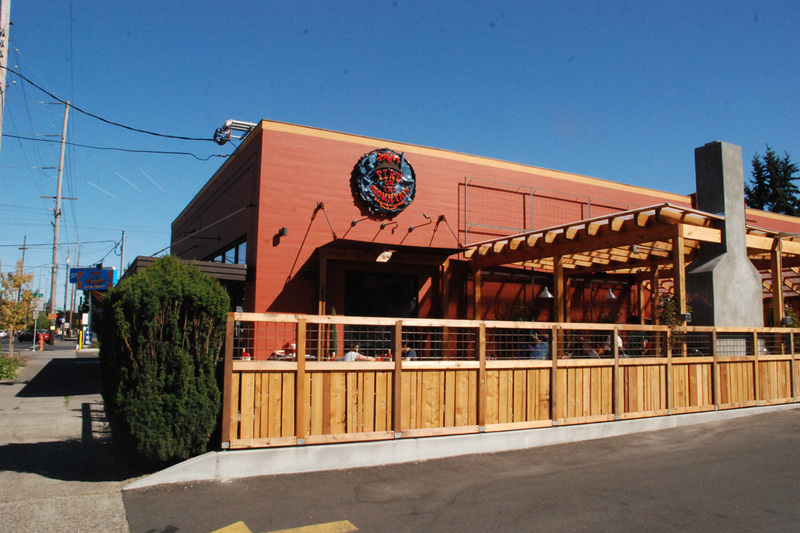 The chain is known for its commitment to environmental sustainability, including turning the fryer oil into biodisesel fuel and composting their waste, is also known for their vast selection of another infamous Portland product that begins with the letter “B:” Fire on the Mountain brews its own beer as well.